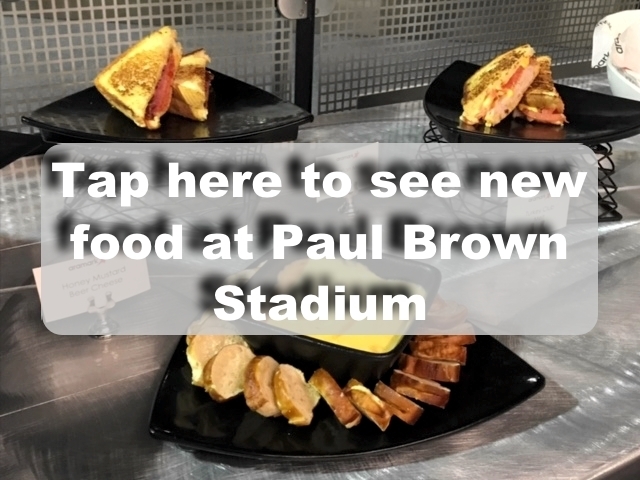 CINCINNATI -- During preseason games the Cincinnati Bengals showed off the lineup of new dishes debuting at Paul Brown Stadium this season. Aramark food service chefs described their creations, which included loaded tots, a Bavarian burger, Who Dey melts grilled cheeses, deluxe hot dogs and a pork tenderloin waffle sandwich. The Bengals kick off their regular season Sept. 10 against the Baltimore Ravens at Paul Brown Stadium.